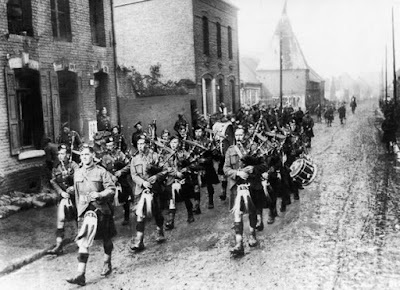 Silence was experienced by those on the home front as well, but for them, the stillness echoed with absence and extended down through the years. He’ll come nae mair to oor toon. Reworking the ballad form, Angus contrasts traditional Scottish music before the war with the raw and painful ways in which the old ballads were heard after the tragic losses of the Great War. 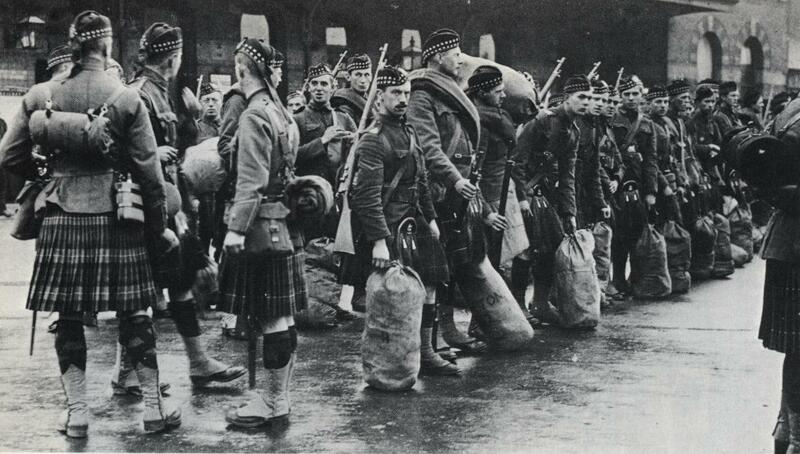 An estimated 125,000 Scottish soldiers never returned home. Angus was known for writing in Scots, but “Remembrance Day” begins in English, then shifts to Scots to sing of a young soldier “baith frank and free” who will come no more to his home town. 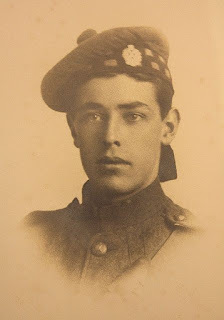 The poem reverts to English as it describes a bereft voice that sings no more and the sacramental silence that falls on Remembrance Day, before the poem returns to Scots, closing with the ghostly notes of an ancient ballad that now keens for the recent war dead. 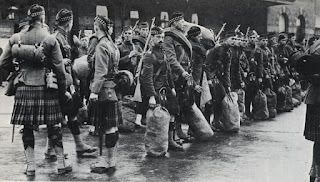 Fluent in both Scots and English, Marion Angus worked during the war at the Stobs, a British Army training camp in the Scottish Borders that became an internment camp for civilians and prisoners of war. 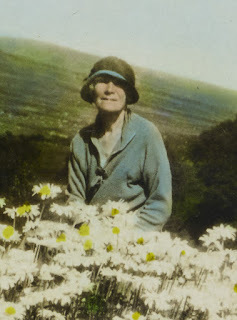 By May of 1916, there were over 4,500 prisoners in the camp.† Her first book of poetry, The Lilt, was published in 1922. At the time of her death in 1946, Marion Angus was credited as being “one of the most distinctive voices of the modern Scots revival,”†† but her poetry, which focuses almost entirely on women’s experiences, has been largely forgotten. * Winifred Duke, “Women Poets of Today,” Glasgow Herald, 15 Jan 1936, p. 8, cited in Aimée Y. Chalmers’ The Singing Lass: A Reflection on the Life of the Poet Marion Angus, Thesis submitted to the University of St. Andrews, 2010, p. 30. ** Robert J. Casey, The Cannoneers Have Hairy Ears, J.H. Sears, 1927, pp. 329-330. *** Hugh MacDiarmid (1936) cited in D. Dunn (ed.) The Faber Book of Twentieth-Century Poetry, Faber and Faber, 1992, p. xxxiii. † Chalmers, The Singing Lass, p. 43. †† Anonymous obituary, “Death of Marion Angus Scots Vernacular Poet,” (1946) cited in Chalmers, The Singing Lass, p. 82. ††† Marion Lochhead, “Feminine Quartet,” Summer 1980, cited in Chalmers, The Singing Lass, p. 82.